Home Basketball LeBron: "I will not stop until the Lakers are champions"
LeBron: "I will not stop until the Lakers are champions"
"I see those flags on the roof and I want my name to be next to the others: Kobe, Shaquille, Magic, Kareem, Baylor ..." he said on CBS. The Lakers season ended, again outside the playoffs (sixth consecutive season) and with only two more victories than in the previous season despite the arrival of LeBron James, the best player of his generation and one of the greatest of the historia. To make matters worse, the grotesque output of Magic Johnson has ruined the picture in a team that has not yet made firm decisions with respect to its general manager, the criticized Rob Pelinka, and his coach, Luke Walton who has lived this season on the tightrope, pressed from the beginning by a Magic whose output can be good if it hits with his successor, but it is certainly bad at least for the appalling ways in which it occurred. In the eye of the hurricane is also, of course, LeBron James, in a season in which he suffered the worst injury of his career, a problem of ingle that made him miss 17 games and from which he returned far from his best physical version, in which his leadership has been questioned and which has led him to think if the decline of a player who until now seemed capable of challenging the father time for a few more years has not begun. 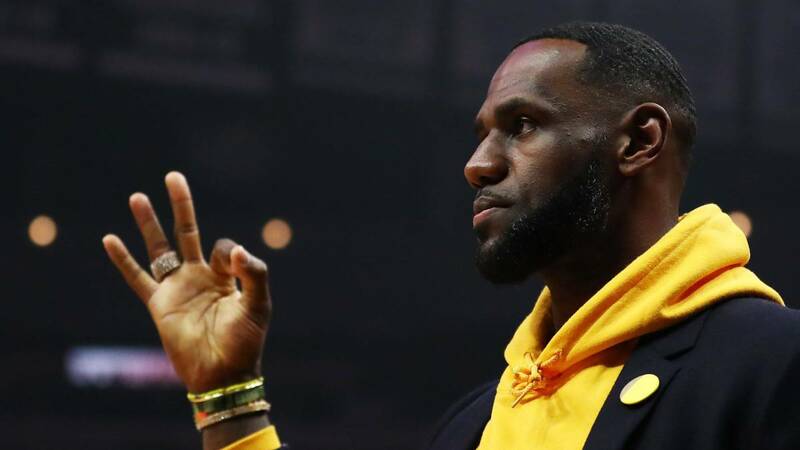 LeBron, at least, showed his commitment to the Lakers in an interview with Jim Hill, of CBS, in which he made it clear that his goal remains the same as when he arrived at the franchise, despite everything that has happened in a true annus horribilis: "I came to the Lakers for one reason, only one: to play basketball to win and take this team to the place where it used to be. I keep seeing all those flags of champions and I want to be part of that. See those flags with all the big Lakers: Magic, Kareem, Shaquille, Worthy, Baylor, Chamberlain, Kobe ... and I want to be up there too. That is still my motivation, and I will not stop until this franchise is in a position to fight for the title, and I hope to win it, and until my shirt is up there with those others. That's the only important thing. "